I would love to come help with the girls. If you would like to “schedule” me:-) to come during the day so you could have a couple of hours to get something done or even just to get a couple of hours of sleep, please call me. My phone number is 306-3204. Seriously, I would be honored! I want to laugh, smile and cry with you! Such beautiful babies, such proud but exhausted parents and family! 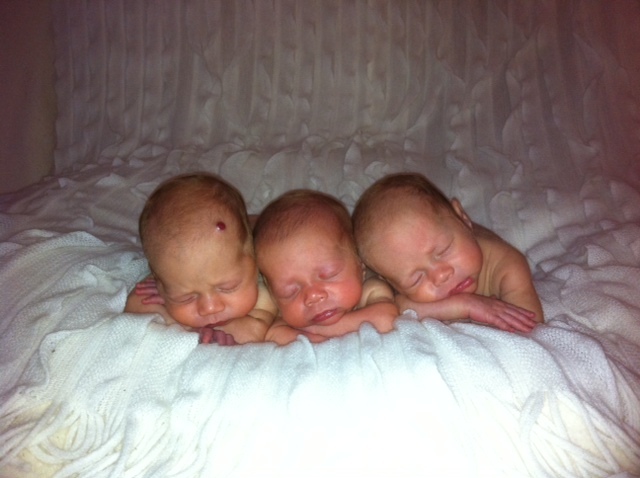 I pray their sleepless nights will turn in to sleeping 8 hours at a time so you can get some rest. One of mine did that the other was 3 1/2 hours on the dot each time! How precious are those pics! Love you cousin, so very proud of you! Hire a night nurse! Or get hooked up at seeking sitters and see if anyone would do nights, even if it was just a couple nights. I can help on Monday’s!